“In the News” wins honorable mention at the Fresh Art show in Marin County. Nearly 200 pieces, out of hundreds more, were selected for the show featuring artists throughout California. 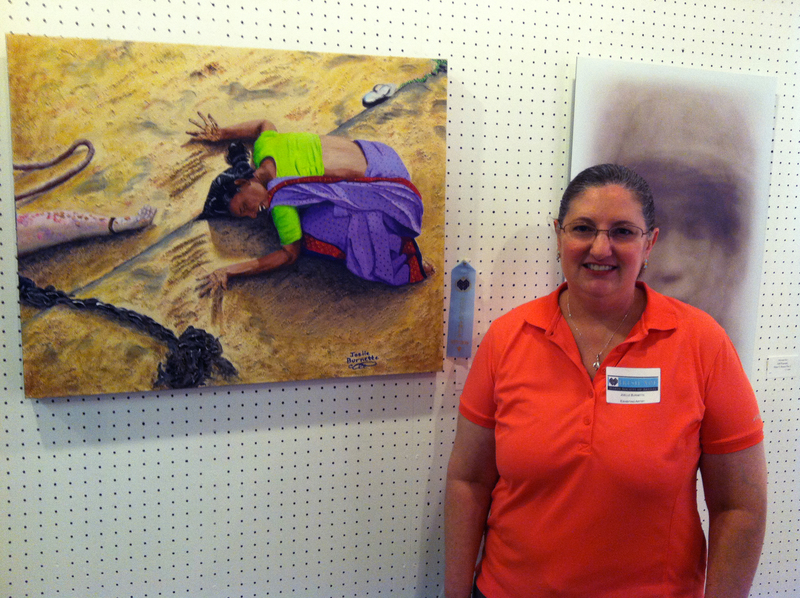 Joelle had two pieces selected: “Sailing,” an oils on canvas, and her winning piece, “In the News,” that took fourth place with honorable mention. The show offered only four prizes. Later, during this morning’s call, Arlene expressed how proud she was of her daughter’s achievement in the prestigious show. If you live in the area of Marin County, stop by the gallery at the Marin Art & Garden Center to see the show running through August 3, 2013.